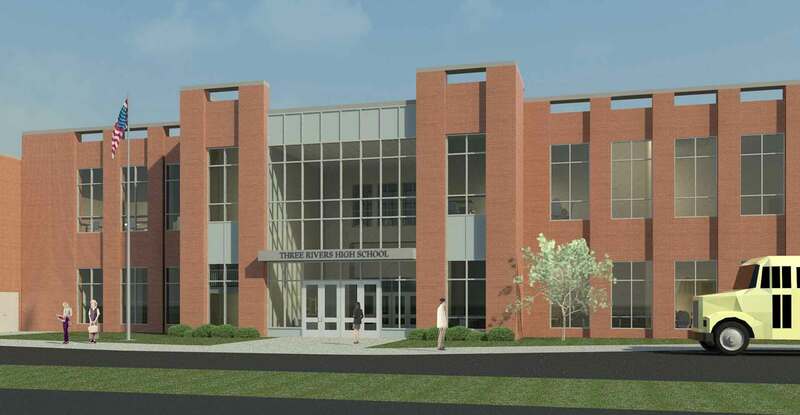 As part of our on-call contract with the State of Connecticut Department of Construction Services, Kenneth Boroson Architects was retained to develop a feasibility study report for the creation of a new middle college high school program to be located on the campus of Three Rivers Community College in Norwich. 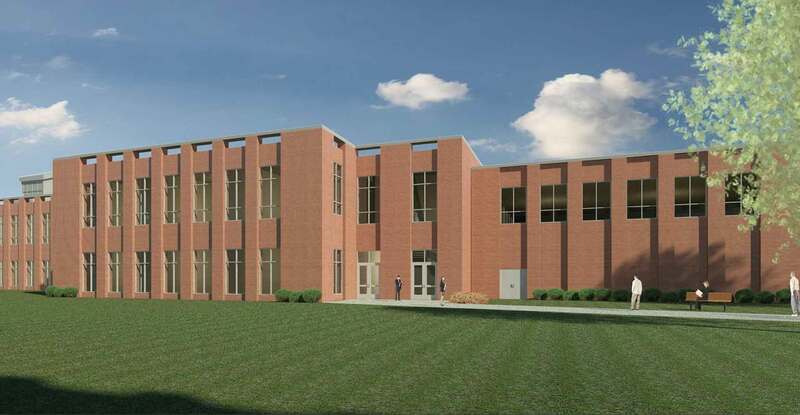 The program included 14 general classrooms, three laboratories, break-out rooms, a full gymnasium with bleachers and locker room facilities, administrative offices and service areas. 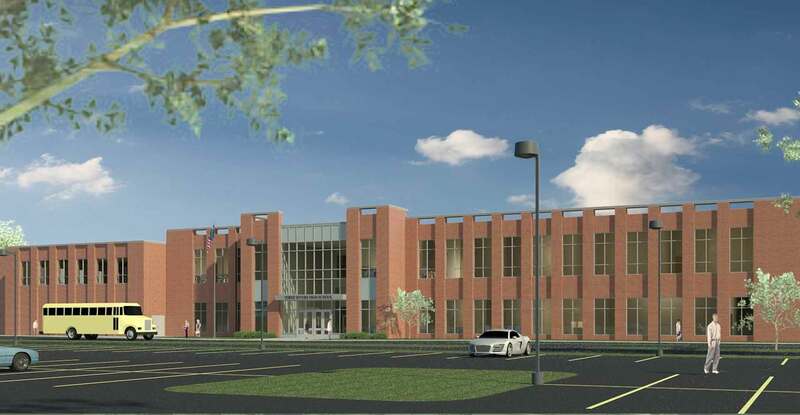 The program required that the new building be connected to the Community College. Due to egress requirements from the courtyard, the link between buildings is on the second floor. The aesthetic of the building also met the Committee’s design requisite to “blend in” without being an exact replica of the architectural style of other buildings on campus. In addition to the interior space requirements, the program identified the need to segregate both drop-off/pick-up activities from each other as well as from the existing southern building arterial drive. Due to the significantly increased parking load requirement of 250 cars, a new parking structure was essential.